US Congressman elected to represent Ohio's 4th district in the United States House of Representatives, serving from 1863 to 1865, and 1871 to 1873. US Congressman, elected to represent California's 2nd district in the United States House of Representatives, serving from 1851 to 1853. Also served as a Member of the California State Assembly, serving its 14th district from 1851 to 1852, and as a State Court Judge. Civil War Union Brevet Brigadier General. He served during the Civil War as Lieutenant Colonel and commander to the 71st Ohio Volunteer Infantry. He was brevetted Brigadier General, US Volunteers on March 13, 1865 for "gallant and meritorious services during the war". Luther McCarty (March 20, 1892 - May 24, 1913) was a heavyweight boxer who is considered by most to be the greatest of all the "white hope" fighters who fought during the time of Jack Johnson. Ironically, McCarty was largely believed to be born of both Irish and Native American decent. Noted Los Angeles boxing instructor DeWitt Van Counrt in 1926 called McCarty, "unquestionably the greatest young heavyweight prospect since the days of John L. Sullivan." 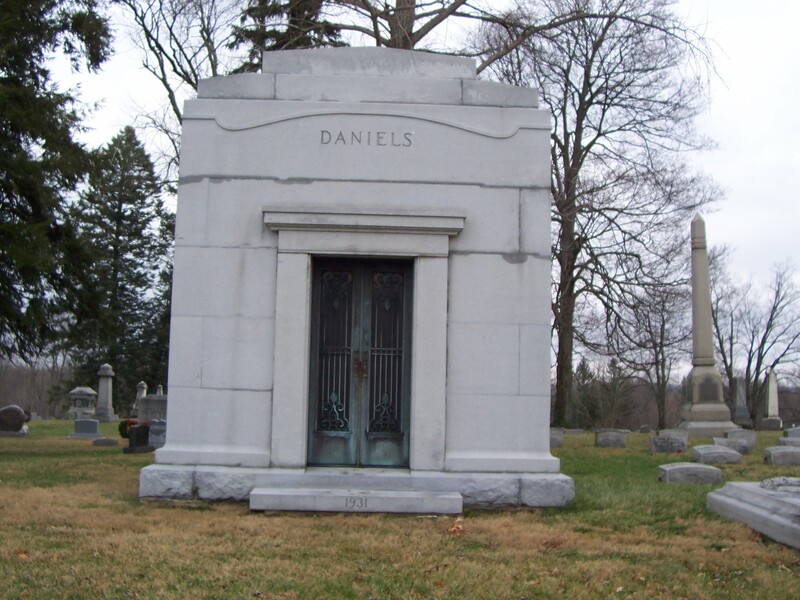 John W. Daniels ws the founder of the Daniels Linseed Company of which today is known as the Archer Dainels Midland Company. Buried in families private mausoleum. Magical Mimics in Oz (1946) and The Shaggy Man of Oz (1949), as well as Who's Who in Oz (1954), a thorough guide to the Oz characters, all of which Reilly & Lee published. Edwin Coddington was an American astronomer and discoverer of astronomical objects..He co-discovered the comet C/1898 L1 (Coddington-Pauly), also known by the older designation Comet 1898 VII. He also discovered 3 asteroids, and the galaxy IC 2574 in Ursa Major, which later became known as "Coddington's Nebula".